The 2017 inaugural event brought you an impressive keynote speaker line up of world-renowned experts in the field of trauma-aware schooling and practice. The 2019 line up is shaping up to be just as sensational, with the following Keynote speakers already on board. Stay tuned and make sure you’re signed up to our mailing list to find out more about our 2019 program! Susan Cole is the director of the Trauma and Learning Policy Initiative (TLPI), a joint program of Harvard Law School and the non-profit children’s rights organization Massachusetts Advocates for Children (MAC). At Harvard, she holds a joint appointment as Education Law Clinic Director and Lecturer on Law and is a Senior Project Director at MAC. Ms. Cole’s work is based on research at the intersection of psychology, education and law that links traumatic experiences to a host of learning, relational and behavioral difficulties at school. She oversees TLPI’s work in schools and its representation of families in the Education Law Clinic to inform ongoing policy and educational activities. She holds a J.D from Northeastern University, a Masters in Special Education from the University of Oregon, and a BA from Boston University. Prior to becoming a lawyer she taught in the Watertown MA and Woodstock CT public schools – experiences that continuously inform her current work. Judith is currently a senior lecturer with the Queensland University of Technology after an extensive career with state schooling in Queensland. She has worked as a teacher, guidance counsellor, and behaviour support specialist. 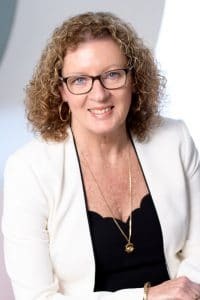 She has held both regional and state positions with the Queensland Department of Education and Training overseeing policy development and implementation, staff development, school, student and family support programs (all in the area of student behaviour management and support). Judith oversees pre-service teacher education at QUT, regarding student behaviour support and classroom management and (more recently) trauma-informed schooling. 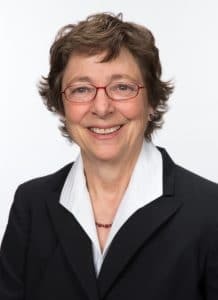 Judith’s main research interests include the impact of complex trauma on the developing child, primary and secondary school behaviours, and the well-being and resiliency of educators. She is currently involved in a research project investigating the requirements for a state-wide framework for trauma-informed schooling. Through her research, training seminars and consultancy with educators, she continues to encourage schools to adopt a neuroscience informed approach to the behaviour management of trauma surviving students. She is the author of the popular teacher resource/book: “Distressed or Deliberately Defiant: Managing Challenging Student Behaviour due to Trauma and Disorganised Attachment”. Tom Brunzell (MS, EdM, PhD candidate) has experience as a teacher, school leader, researcher and education advisor in New York City and Melbourne. 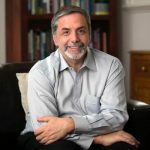 Currently he is the Senior Advisor, Education and the Leader of the Berry Street Education Model at the Berry Street Childhood Institute, Victoria. Tom presents internationally on topics of transforming school cultures, high expectations for differentiated instruction, trauma-informed practice, wellbeing and the application of positive psychology, and effective school leadership. 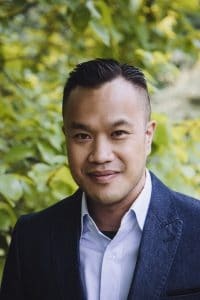 He is also a PhD candidate at the University of Melbourne, Melbourne Graduate School of Education studying trauma-informed pedagogy, positive psychology, and their impacts on workplace meaning. New research on trauma’s effects on learning and school participation continues to inform the way we now must educate trauma-affected students. However, implementing evidence-based strategies in a consistent way is the important next step within our annual school improvement plans. Since students encounter a number of staff throughout their day, all staff benefit when trauma-aware strategies are seen as part of the continuous learning we strive for as educators. Learn strategies that have shifted whole-school cultures and how we can sustain the momentum from emerging trauma-aware school initiatives. 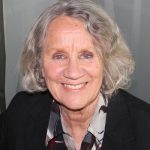 Her book ‘Trauma Trails – Recreating Songlines: The trans-generational effects of trauma in Indigenous Australia’, provides context to the life stories of people who have been moved from their country in a process that has created trauma trails, and the changes that can occur in the lives of people as they make connection with each other and share their stories of healing. Dr Joe Tucci is the Chief Executive Officer of the Australian Childhood Foundation, a social worker and psychologist. He has completed a PhD in emotional abuse and uses post-modern and narrative ideas in research, counselling and training. He has a particular interest in the impact of abuse-related trauma on brain development and the implications for practice. Joe has extensive experience in the provision of consultancy, clinical supervision and program development and evaluation.